Bill Bailey’s a straight talker and doesn’t believe there’s any romance in wine, just “bloody hard work”. 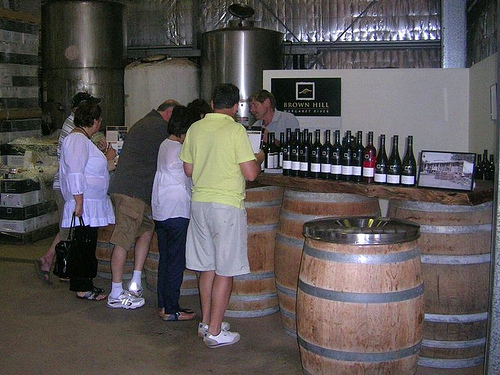 Family-owned Brown Hill Wines is a scenic 12 km drive from Margaret River and if you want to meet the Patriarch behind the brand, don’t expect a purpose built tasting room. What you will get, is handcrafted premium wines consistently scoring in the top nineties. For us, this was the best wine-tasting experience of the day. Bill’s happy to share his vast knowledge and strong opinions on what constitutes a good wine. 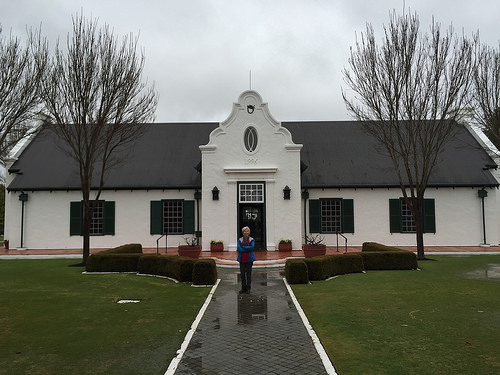 Next on our list was the beautiful 300 hectare Voyager Estate property. 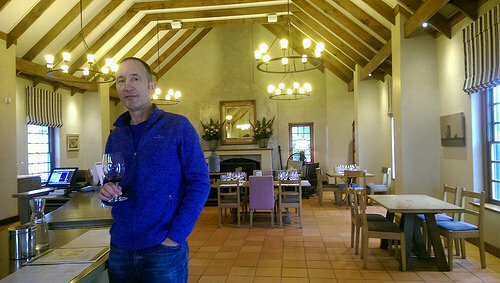 The building inside is large with a restaurant, tasting area and lounge with a crackling fire. It exudes style. There is a complimentary tasting option, but a fee charged for sampling the top tiers Voyager wines. The Leeuwin estate nearby is definitely worth visiting and a good place to lunch with a cafe and full restaurant option. 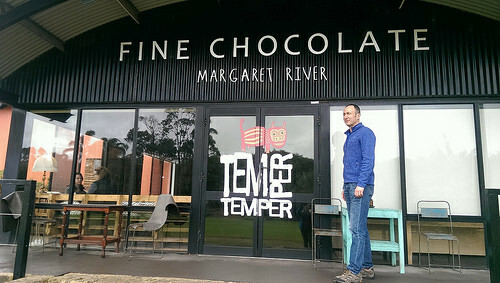 A one-stop option for coffee and chocolate can be found at Margaret River’s Yahava Koffeeworks and Temper Temper Fine Chocolate. The Yahava Koffeeworks is a fascinating gem for coffee and tea lovers. 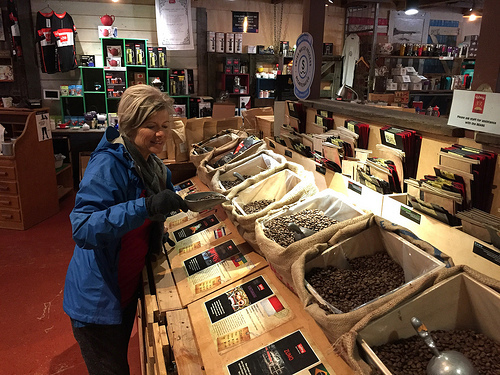 The coffee beans are roasted and blended on site. 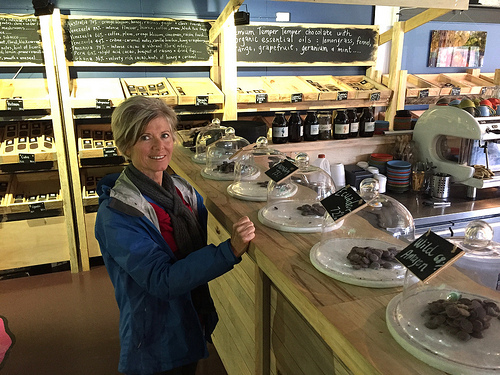 The Temper Temper Chocolate shop and factory was a large and warm place to browse on this wet and windy day. It specialises in sustainably farmed cacao from over 24 origins. The hot chocolate looked dark and rich. You’d be spoilt for choice in this shop, with every variety on dispay. The Madagascar chocolate was my fav. I think my eyes are getting a little too bright – chocolate overload. 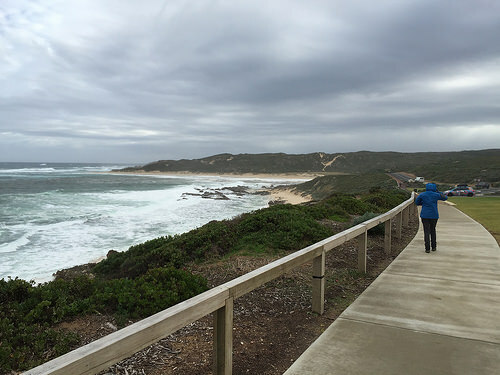 Time to head back to our base Margaret River Prevelly Beach for our last walk for the day. Love this wild and beautiful country. Back on the road tomorrow, this time to through Augusta and Pemberton and onwards to the port city of Albany for a 4-day stay.